The creator of ‘Imagine Wanting Only This’ discusses her role as art director and deputy publisher of ‘The Believer’ magazine. When The Believer magazine returned last year with a new publisher and a mostly new masthead, one of the new hires was Kristen Radtke. 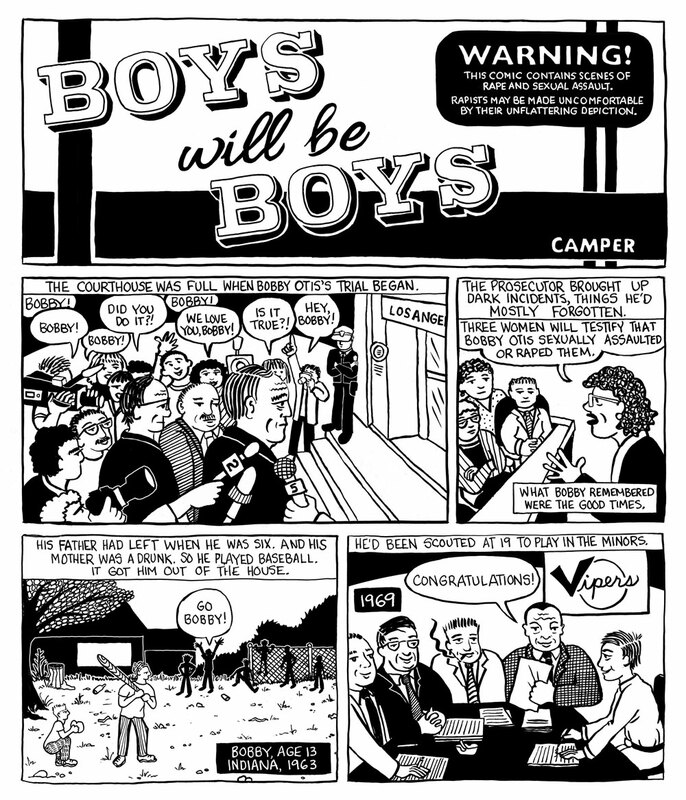 Comics readers know her for graphic memoir Imagine Wanting Only This, which was published by Pantheon in 2017. As Art Director and Deputy Publisher, Radtke has been overseeing the cover, the magazine’s redesign, and the comics section. Originally edited by Alvin Buenaventura, under Radtke the comics section has gone in a different direction. It’s longer, focused on longer-form work, in a way that brings it much more in conversation with the rest of the magazine. Over the course of a few issues, the magazine has published work by Jennifer Camper, Leela Corman, Danica Novgorodoff and Yvan Alagbe. The June/July issue features work by Ben Passmore, Andrea Tsurumi and Anders Nilsen. 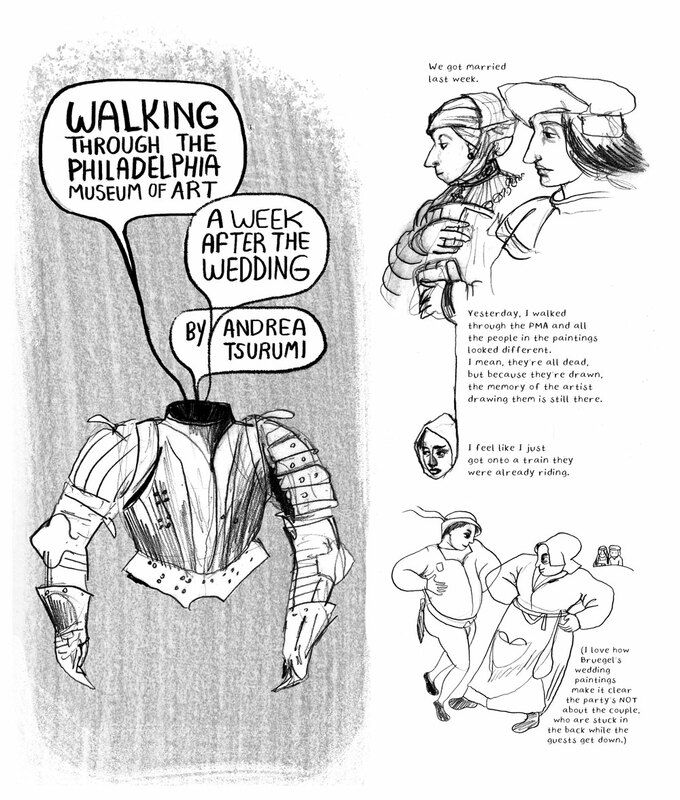 I had spoken with Radtke when her book came out last year and asked if we could talk about her job as editor, how she sees the comics section and overseeing the look of one of the few magazines still focused on illustration in this way. You’re the magazine’s art director and deputy publisher. What does that entail? I curate a comics section ranging from sixteen to twenty-five pages per issue, and I bring in art for the rest of the magazine – the covers, interior illustrations, feature spreads, stuff like that. As deputy publisher, I work with our publisher Kellen Braddock to do a lot of behind-the-scenes business. When you joined the magazine was part of the job that you were going to oversee the comics section? Alvin Buenaventura was our longtime comics editor who passed away in 2016. I didn’t know him personally, but every interview I’ve seen when a comics artist talks about him, they say that he was the best, most influential editor they’d ever worked with. I really loved what he did. The comics he published were funny and cool and smart. With the relaunch we had the opportunity to expand that section and incorporate narrative work as we do in the rest of the magazine. I loved the section that Alvin curated, but it often felt separate. I feel the past few issues have tried to be more in conversation with the rest of the magazine. Thanks. 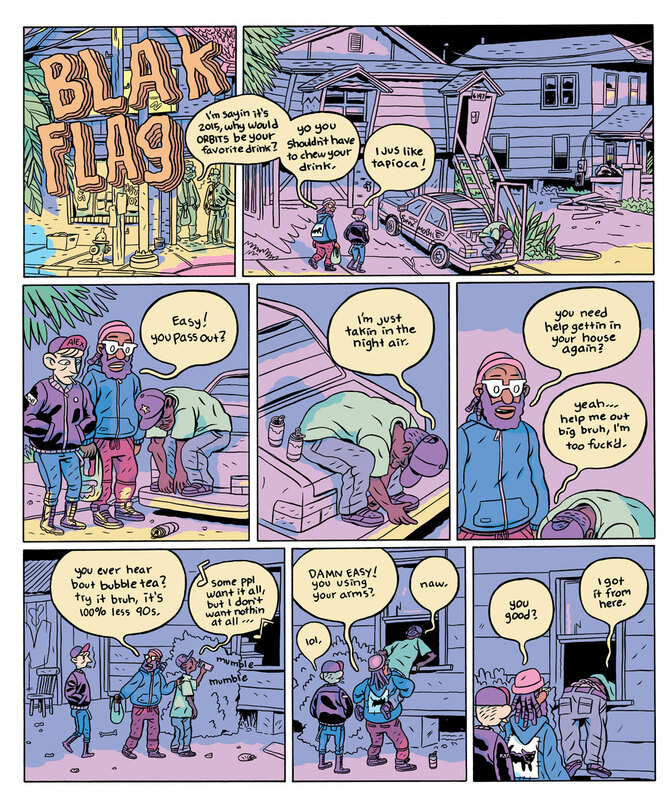 We’re really interested in nonfiction comics, reported comics, comics journalism. It’s hard for magazines to justify the amount of space we’re dedicating to comics because it’s expensive to print in color, and it’s expensive to send people on assignment, and comics take so much time. But it’s something we’re really interested in doing. For example in the April/May issue you had a story by Jennifer Camper and it was fiction, but it was topical, and it felt like a Believer piece. Totally. 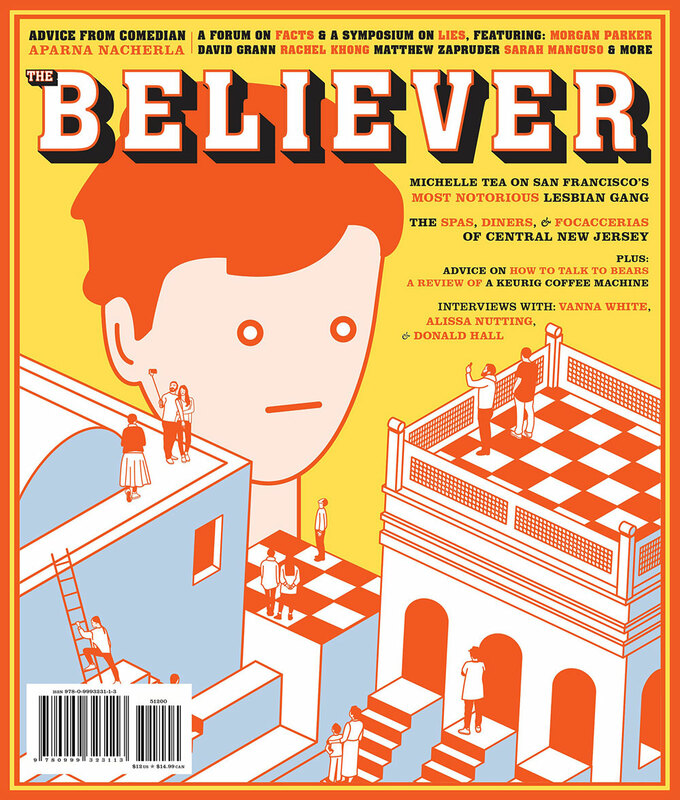 It’s the only part of the magazine where we run fiction, but that Believer “feel” is important to me. We first spoke when Imagine Wanting Only This came out and you talked about coming to comics and only reading and making them in your twenties. What have the past few years been like in terms of being exposed to comics? I’m seeking out new work and new creators every day, and showcasing a really diverse array of voices and aesthetics is really important to me. How does most of the work end up in the magazine? Are people pitching you? Are you reaching out to people? I get a lot of pitches, but I would say the vast majority of the comics in the magazine were solicited. What has the process been like working with cartoonists? The internet is a beautiful thing for comics. More so than probably any other literary or artistic form, I feel like there’s such a wealth of brand-new work online—and for free. You can get access to an unpublished artist that you haven’t seen in print before and then refamiliarize yourself with really established artists as well. Looking at our most recent issue, I reached out to Ben Passmore probably eight months ago or so. I’ve loved his stuff forever. He has a super distinct point-of-view and his colors are extraordinary. He’s one of the best colorists I’ve ever seen. His palates are completely his own, and they’re immediately recognizable. So, I reached out to him and asked if he had any ideas. He presented a couple of narratives he wanted to work on, we selected one, and then moved from there. What has it been like learning to edit comics? I edited books in my previous job and editing comics feels the same, except that you’re also editing images. I love working with an artist from a sentence of an idea to a script to a storyboard and sketches to something whole and beautiful. 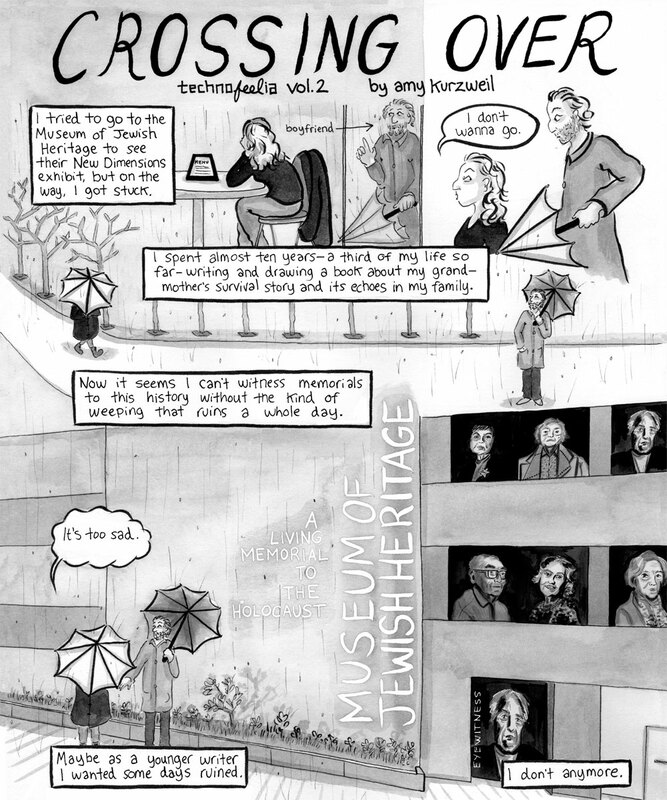 Besides Ben, in the new issue you also have work by Anders Nilsen and Andrea Tsurumi. Three very different artists. Definitely. And Anders is a legacy Believer contributor. He was around in The Believer much before I was so it was nice to continue that while bringing in new voices as well. There aren’t many publications which publish this kind of work. That’s why I was drawn to the job. I don’t know that there’s a literary magazine in the country that publishes as many pages of comics per issue. The New Yorker is one that does, but only a few pages a year. And it’s by the most famous people like Roz Chast or Art Spiegelman—whose work I love. But I want to make a space for new voices, too. What do you like about seeing work in print and what do you think it adds to work? I don’t know. A level of permanence? The internet is forever in a lot of ways, but there’s just something different about having something appear in print. We’re revamping our ancient website right now which will go live at the end of July or the beginning of August and our entire archive of comics will appear online for the first time which I’m very excited about. I think there’s a reason for both. I think it’s a mistake for something to live only in print. I think it limits your audience. The comics that I think have the widest reach use the internet. I did also want to ask about the overall look of the magazine which has been rethought. It’s true. We’re going to undergo a slightly larger redesign over the next year or so, and I want to give a little more space to illustration in general. 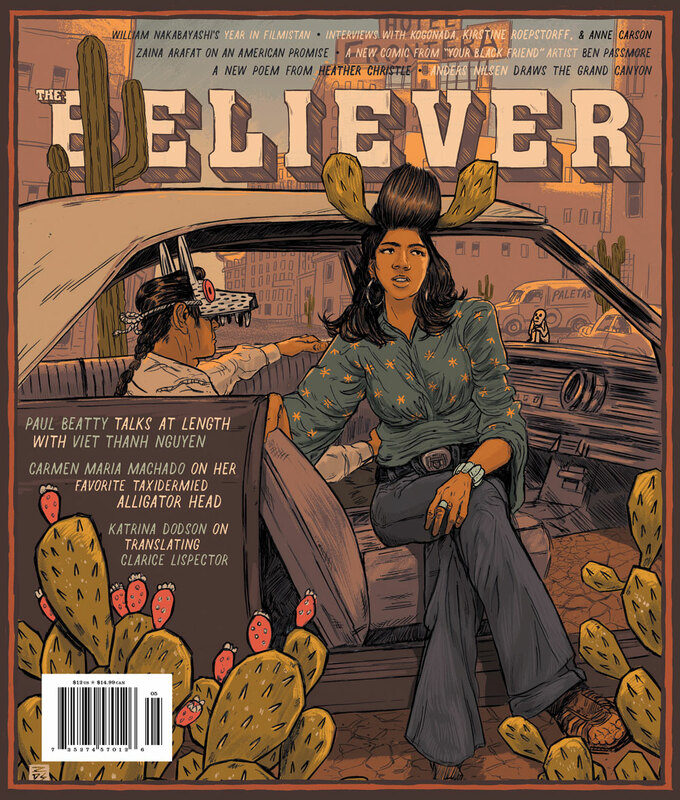 I think one of the things that’s really special about The Believer is that it’s one of the few magazines that really does prioritize illustration over photography. I want to continue to do that and offer more space for that. A really important thing for me when I started at the Believer – and I think for the whole staff – was that we feature a different artist on each cover. Each issue should have a distinct point of view. And I still want them to be playful and weird in the way that Believer covers have always been. Besides hoping that people pitch you more nonfiction, what do you want to keep doing and do differently going forward? I want our non-comics readers to realize that the comics work we’re doing is every bit as important and rigorous and literary as the prose work we’re publishing. In an industry like comics that has traditionally been so exclusionary, I’m interested in publishing people from a wide range of backgrounds, or discovering someone new who’s never been given this space to work in before. And, honestly, I care about getting artists paid. Paying comics artists what their time and work is really worth is one of the things I’m proudest of.